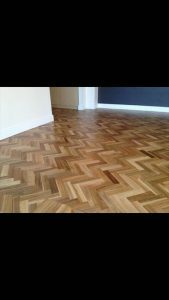 Looking for the best parquetry flooring Melbourne has to offer? Timberland Floors can help - we have a wide variety of timbers, and can create and design pebble or timber feature inlays and decorative borders to enhance your floor. Natural Timber parquetry flooring has a timeless elegance that adds an extra touch of prestige to just about any home. Not only this, but parquetry flooring will last a lifetime if installed correctly, and its durability is second to none! With many patterns such as Herringbone, Basket weave, Heritage and Standard Brick Bone and more, parquetry flooring can easily fit the aesthetic of any room – and our team can help you with a design that truly fits your home or business. 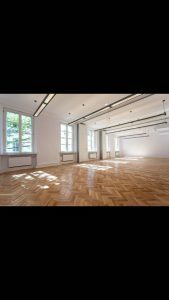 Parquetry flooring can be polished with a choice of many different coatings such as tung oil or water-based finishes, high gloss polyurethane, stains, matt and satin applications. Our experienced and innovative staff will work with you on your project from conception to completion. We can install top quality floating floors or timber decking in any area of your home or business. Trust our experienced team to provide reliable and efficient service. You get a quality job first time that will last. We supply, install and maintain a range of floor coverings. We also provide specialist advice on floor finishes and maintenance.